The Sultanate of Oman has recently emerged as a desired location for destination weddings due to its stunning wedding venues that are rich in culture, history, and grandeur. And to add to that –Omanoffersseveral options in wedding venue ranging from beaches to luxury resorts and historical buildings. If you too are interested in the destination wedding, then Oman should be your choice as the nation offers everything that you might have imagined to be in your dream wedding. So the real question is – What do you want your wedding to look like? A beach wedding – You can easily find venues overlooking the Sea of Oman to host an intimate wedding with just your family and close friends present to witness your special day. Just imagine tying the knot under the shining sun (or during the sunset) on a beach with clear blue waters and endless skyline in the backdrop. Imagine the photo opportunities you will have to get the Instagram worthy pictures. 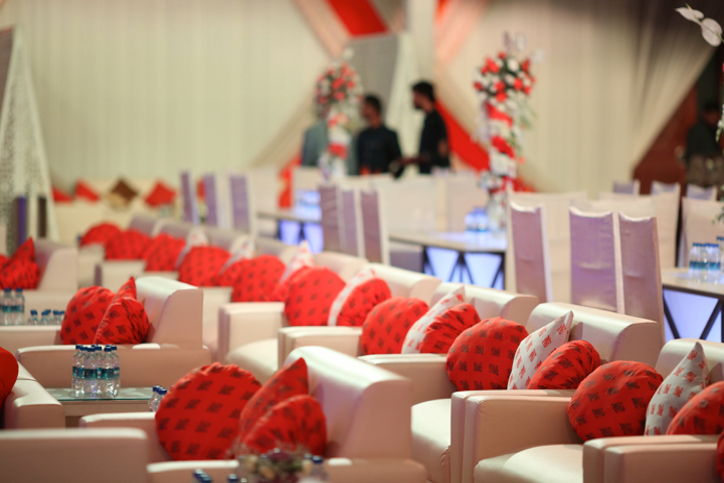 A lavish event – The Sultanate of Oman is renowned for its luxury hotels and resorts, so you won’t have any problem finding the perfect venue for your big day. You can get a romantic setting arranged for your special day, complete with custom decorations, flowers, food and more. You celebration will be lavish with desired splendor and will end with happy guests. Wedding in a traditional/historical building – The nation has no shortage of buildings that reflect the unique Omani style of architecture. This traditional style gives the buildings an exotic look, and will definitely provide a perfect backdrop for your wedding. In addition, there are many forts in Oman with the traditional style of architecture. You can also find buildings that reflect the ideal combination of modern style and traditional culture of Oman. If this is your aesthetic, then the Sultanate of Oman is the ideal destination for your big day. A closer to nature wedding – Well, if you want to go unique about the wedding destination and want to choose a location that reflects your closer to nature style, then Oman has several wadis and mountains with spectacular gorges and canyons.The peaks of the Hajad Mountains and majestic forts on the hilltop with beautiful desert scenery in the background create an idyllic location to host a wedding in a truly unique setting. These picturesque peaks will be the picture-perfect backdrop for your wedding event and photos. A big fat Indian wedding demands the grandeur and lavishness in a location to match the enthusiasm of the couple and the guests. And you can get this grandeur in Oman. Stunning landscapes, beautiful beaches, majestic mountains, and lavish resorts – you just have to choose where you want to tie the knot. The cherry on the top will be the delicious cuisine of Oman that offers amazing flavors and will leave your guests content. Now when you are convinced with Oman being the ideal destination wedding location, all you need is expert advice on arranging the wedding of your dreams. Contact Rachnoutsav Weddings to get the perfect, lavish destination wedding that you have always wanted.